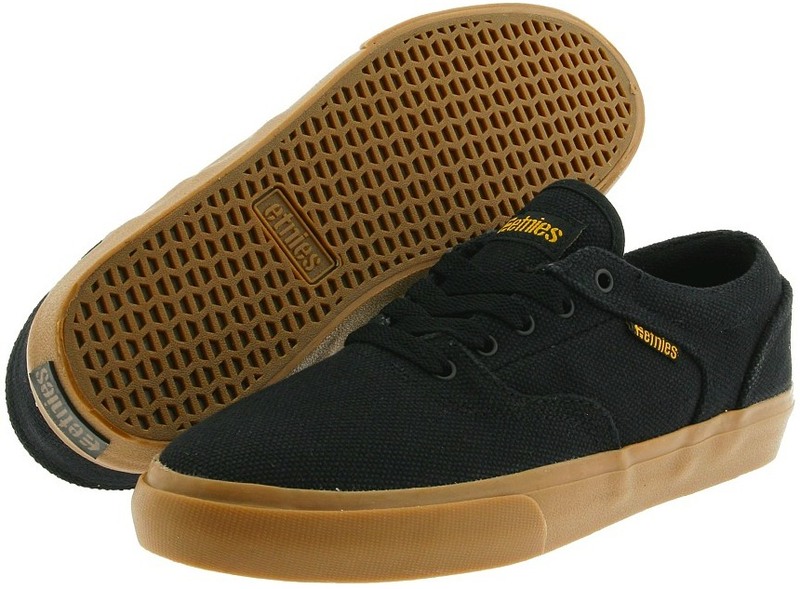 Etnies Fairfax is a vegan low top with some serious skateboard heftiness! The upper is made out of 20oz. canvas which will take more abuse then the average canvas skate shoe. Vulcanized soles, and a STI DTF Pro 1 footbed! They may look low profile but the Fairfax have some serious skate credentials. They remind me of the lo’s i used to rock. Lots of collar padding, light tongue padding. and notice those eyelets down on the toe cap? They keep your toots snug and in control.